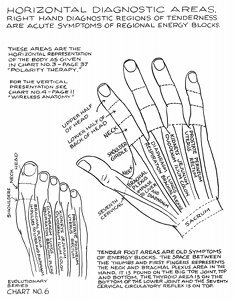 Right hand diagnostic regions of tenderness are acute symptoms of regional energy blocks. 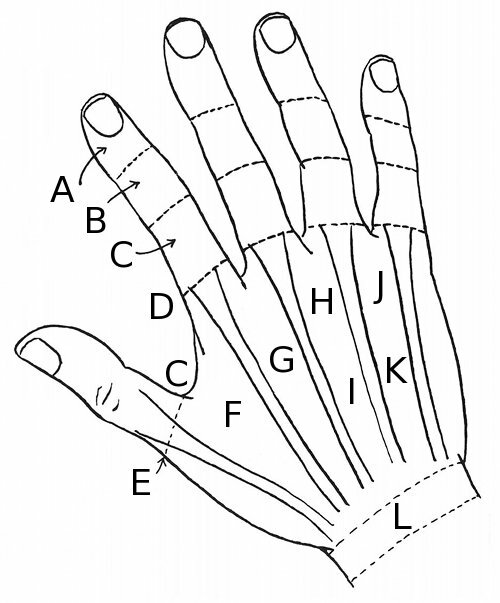 These areas are the horizontal representation of the body as given in Chart No. 3 - page 37 "Polarity Therapy." For the vertical presentation See Chart No. 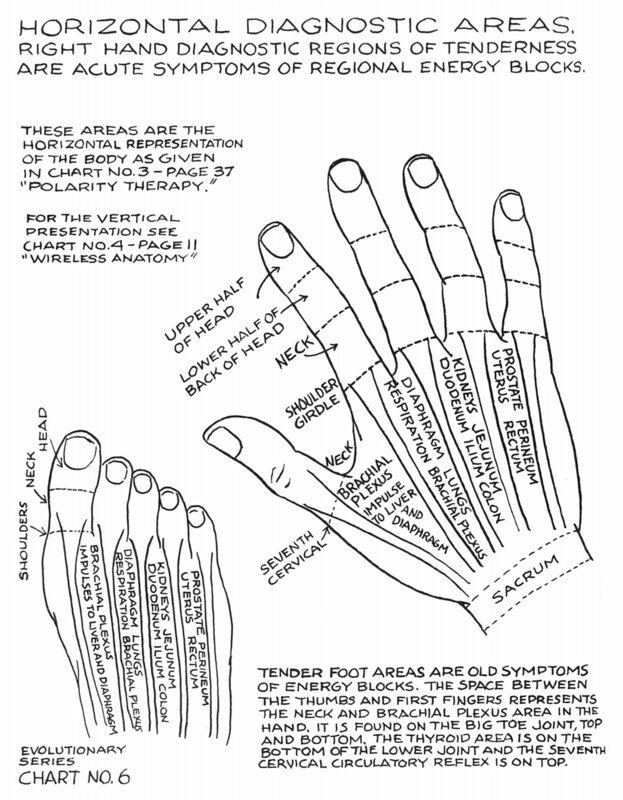 4 - page 11 "Wireless Anatomy"
Tender foot areas are old symptoms of energy blocks. The space between the thumbs and first fingers represents the neck and brachial plexus area in the hand. 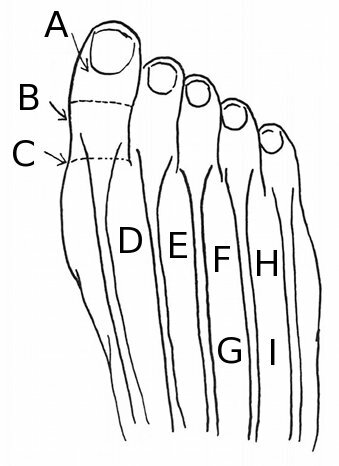 It is found on the big toe joint, top and bottom. The thyroid area is on the bottom of the lower joint and the seventh cervical [C7] circulatory reflex is on top.